This luxurious low carb Hollandaise sauce is fantastic with veggies, fish, and chicken! LCHF recipe. 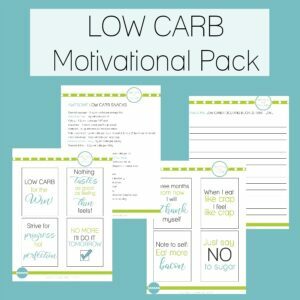 Way back when I started low carbing in 2008, I wrote a list of my favorite foods and meals that I could still eat on this new diet plan. I found it so useful that I’ve made a printable version and it’s part of my motivational pack! But Hollandaise sauce was most definitely on that list. 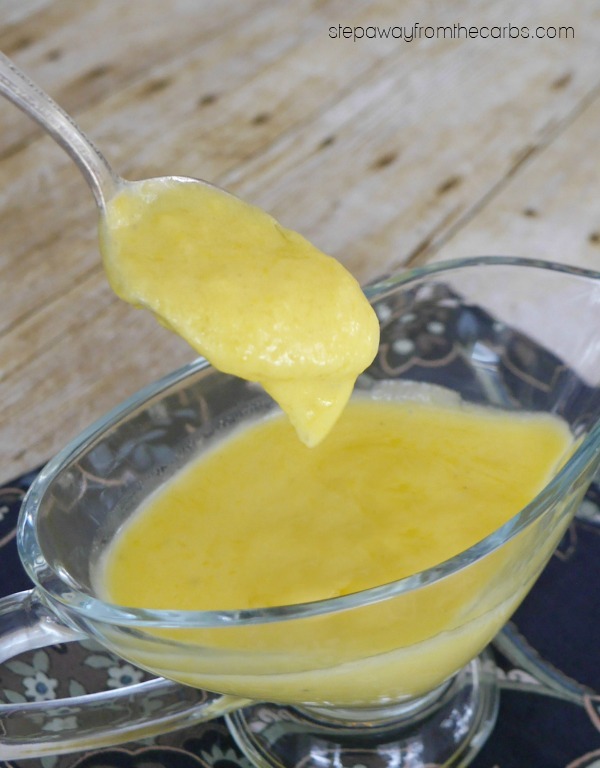 It’s classically made from egg yolks, butter, water and lemon juice, all whisked together over a low heat to form a thick and gorgeous sauce. The term “mouth-feel” is a perfect way to describe this sauce – it tastes so luxurious and indulgent. 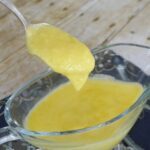 I actually use a recipe that replaces the lemon juice with white wine vinegar – I prefer it and it also makes the carb count a tiny bit lower. And although many people think of it only as a key ingredient for Eggs Benedict – there’s so much more that you can do with it! Serve it with asparagus, fish, ham, chicken and much more! Add some white wine vinegar and black peppercorns to a small saucepan, and heat over a medium heat for five minutes. the liquid will reduce and become more intense. Set aside and leave to cool. Make a bain marie by placing a glass bowl over a saucepan of simmering water. Add the vinegar mixture and some egg yolks, and whisk to combine. 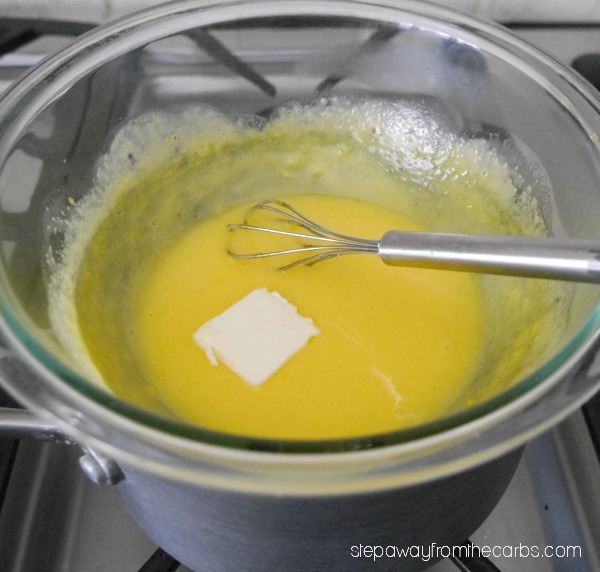 Start adding the butter – one chunk at a time – and whisking until it has been fully incorporated. Once all the butter has been added you will have a thick sauce. Test for seasoning and add salt and pepper as necessary. White pepper is traditional but I confess that I prefer black! 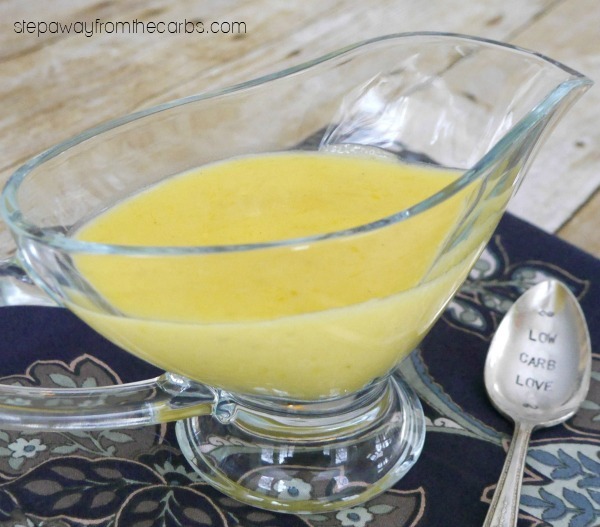 Watch my Instagram video to see this low carb Hollandaise sauce “in action”! In a small saucepan mix together the white wine vinegar, water, and peppercorns. Boil for 5 minutes until the liquid has reduced. Strain and cool. Set up a bain marie or double boiler with the water simmering. In the top bowl add the egg yolks and vinegar mixture. Whisk until foamy. Add the butter, one chunk at a time. Whisk until each chunk is incorporated before adding the next. Whisk constantly. 0.4g net carbs per serving, based on four servings. Please note that this is a high fat recipe.